The Harvard Crimson men’s hockey team has been deprived of a Beanpot title since 1993. Harvard, the last team outside of Boston College and Boston University to retain the Beanpot trophy, has been notorious for its consolation game appearances as of late. One of Harvard’s goals, however, at the beginning of this season was to come away with the Beanpot. Captain Alexander Kerfoot has been sent home empty-handed each of the last three seasons and is looking to earn some hardware in his last Beanpot go-around at TD Garden. This year, with BC and BU meeting on night one of the tournament, the Crimson have their best chance to capture the annual city title in a long time. 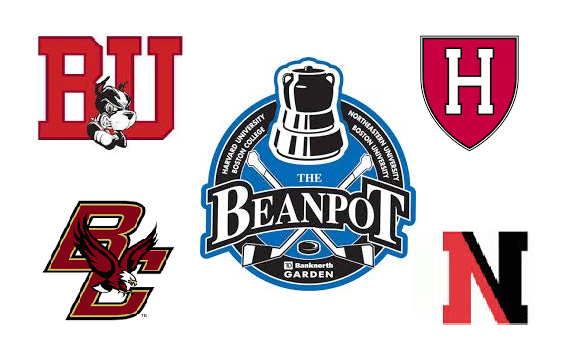 Harvard is pitted against a talented but underperforming Northeastern team in the Beanpot first round. Unlike in past years, Northeastern has yet to set out on its normal second-half surge and continues to sit at the bottom of the Hockey East standings. Harvard, meanwhile, sits third in the ECAC and is ranked 13th in the pairwise. Although the Crimson lack the firepower that reigning Hobey Baker winner Jimmy Vesey and linemate Kyle Criscuolo provided, Harvard has the depth and experience required to win a tournament like the Beanpot. With four strong forward lines and a tested defensive corps, Harvard will make a run at bringing the Beanpot back to Cambridge this season. Similar to past years, Harvard will have only one home game on the Friday night before the Beanpot as ECAC travel partner Dartmouth visits the Bright-Landry Center. Their opponent, Northeastern, will take on a formidable UMass-Lowell team at Matthews Arena in a rematch of the 2016 Hockey East Tournament Final. Winning on night one is half the battle. In the consolation game last year, Harvard got thoroughly beaten by a red-hot Northeastern team by a score of 5-1. The Huskies scored three times in the opening period to silence Harvard. Both Lowell and Harvard will have revenge on their minds heading into the early February swing. The match-up favors Harvard, whose top-ranked power play will likely get ample opportunity against an undisciplined Northeastern team. Though Northeastern’s penalty kill is operating at a solid 87.3%, odds favor the Crimson and their 28.3% power play over the Huskies’ special teams. “That’s a great stat but it’s a general and an all-year thing,” said Coach Donato. “Whereas in one game, you’d be foolish to focus on hoping you’re going to get some power plays. We just have to play to our identity and do the things that make us successful. If the Crimson can shut down Northeastern forward Zach Aston-Reese, Harvard will likely prevail in a bigger ice surface. The Huskies top point-scorer is putting up Hobey Baker worthy numbers, but aside from Dylan Sikura and Adam Gaudette, there’s not many other solid point-producers on the Northeastern roster. Harvard, meanwhile, has a pretty even point distribution among its top six scorers. Seven Crimson forwards have registered six or more goals this season while six have double-digit totals in assists. 16 players have at least five points while none of the top twenty scorers carry a minus rating. The consistency in scoring among all four lines will cause any opponent trouble, especially a team like Northeastern which has seen a dramatic drop-off in production from its third and fourth lines. Following a one-game buildup to the Beanpot First Round, Harvard will deviate from their normal schedule and play just one contest the following Friday ahead of the Beanpot Final. In the last couple seasons, two-game road trips have plagued the Crimson during the weekend ahead of the final Beanpot game. This year, a single home game against Union is all that Harvard must play. With Harvard facing the prospect of no travel and fewer games in the buildup to the Beanpot, the Crimson stand an even bigger chance this season. If Harvard is to get to the tournament final, goaltending and experience will back the Crimson in a contest they could likely be favored to win. Harvard has faced both BC and BU already this season, getting a win against the former and suffering a narrow loss against the latter. “I think that we’ve played in a lot of big games throughout the last three years,” said Kerfoot. “Making it to a couple of national tournaments, playing in three Beanpots, playing in big out-of-conference stages like the Mariucci tournament last year. Those all help and they’re advantageous to us as a group. The case with Boston College is a simple one for Harvard. While the Eagles are tough, Harvard has a mental edge over BC having already beaten them once. BC is also one of the most penalized teams in college hockey and the Eagles penalty kill is subpar at best this season. Boston College would virtually need to be perfect in order to beat Harvard, and that isn’t likely for a young team. The Boston University Terriers are another young team that has beaten Harvard this season. In a 5-3 victory, BU scored the game-winner on what could have been considered a fluky shot. Harvard held the lead twice in that game and looked poised to tie the game late until a bench minor disrupted the third period surge. The BU game easily could have bounced the other way for Harvard, but the Terriers speed outdid an uncharacteristically undisciplined Harvard team. In a game on a bigger stage, Harvard, with its vast experience, would be the more composed team and an early lead on a bigger sheet of ice could be treacherous for BU. In goal for the Crimson, Merrick Madsen and his career .924 save percentage gives his defense confidence to move up into the play. Harvard could play a disciplined game in the Beanpot final if they were to get there, relying on stingy defense in front of stellar goaltending to grab the win. It’s rather easy to believe that this is Harvard’s year to win the tournament as it will require a complete team effort to do so in a battle of four evenly matched squads.